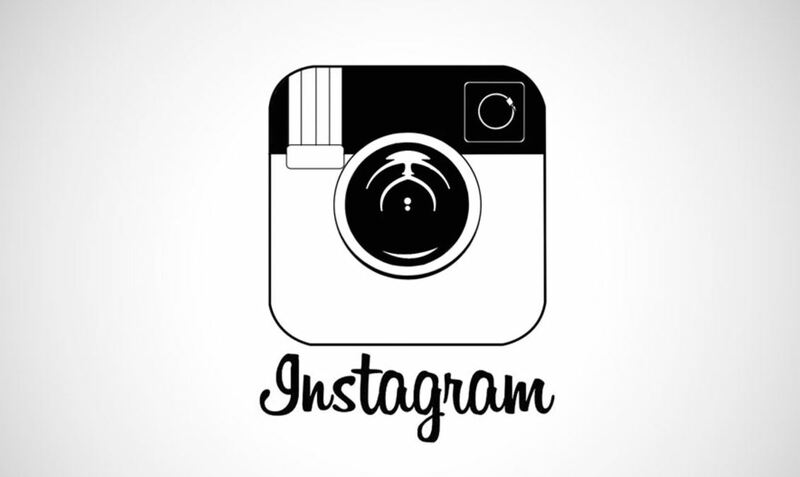 If you are in the market to sell your Instagram account, you might want to hold off. I’m not trying to discourage you, but I just want to make sure that you get the best price possible. As you probably already know, there is a robust market on the internet for social media accounts. A lot of people want to buy and sell these accounts. Institutions, as well as individuals, use these for social media marketing. With that said, you shouldn’t just jump in with both feet and sell your Instagram account as is. You have to make sure that it’s properly prepared and have certain indicators of quality. If you ignore these factors, then chances are, you’re probably not going to get a very good price. So, do yourself a big favor and make sure that you follow the steps I have outlined below, so you can get maximum value for the Instagram account you’ve worked so hard to build up. Make sure that you put as much detail into your Instagram account as possible. Make sure that it looks entirely filled out. Invest in the right photo. Invest in the proper biography. Whatever the case may be, make sure that it looks like a complete account. This, of course, means that you also have content. It’s very suspicious if the account that you’re selling doesn’t have much information and, worse yet, doesn’t have any content. If you’re planning to sell your Instagram account, please do not delete your old content, as any would be buyer will want to see the past activity. This is probably the one factor that plays the biggest role in how much money you will fetch for your Instagram account. Marketers understand the importance and power of niche marketing. You have to remember that people interested in a particular category of information are more likely to buy products and services related to that topic category. Now, with that said, all subject matter categories are not created equal. Some advertisers are willing to pay top dollar for certain niches, while others will only pay pennies for the unwanted niches. Make sure that you are targeting a niche that has a tremendous amount of commercial value. Now, this is not obvious because in many cases, these niches tend to be fairly small. For example, the amount of people looking for legal services, or people looking for certain type of plastic surgery may seem small. However, advertisers are still willing to pay top dollar for such audiences, because despite the small population size of individuals interested in these topics, when those individuals convert to buyers, they pay quite a bit of money. So, the return on investment is definitely there. In short, don’t let the small market size throw you off. Instead, focus on commercial value. Pick out your target niche and make sure that it forms the core of the identity of your Instagram account. Not only is this identity reflected in the graphical elements of your account, as well as your biography, it also influences how your social media account behaves. Find photos that are very specific to your niche. For example, if your niche is all about luxury goods like expensive timepieces, including Rolex or Tag Heuer, post those types of pictures. When people see your posts, and then they click over to your account, they would know instantly what you’re about. Don’t keep them guessing. Don’t confuse people when they click on your account. Your niche focus should jump out at them. It should be instantly obvious. If you’ve ever followed influential people on social media, you will notice that, by and large, they post niche specific content. For example, if you post somebody who’s into Ferraris, chances are, 90% of his posts will be about Ferrari vehicles. Maybe the current models with a little bit of retro or vintage models thrown in. But, from time to time, that person would also post unrelated stuff. Maybe he visited Thailand, maybe he visited Iceland. He would post certain pictures related to his trip. There is a nice little mix, but by and large, the vast majority of his posts are niche related. You have to mimic this because you can’t just post all niche related materials. It looks robotic. It looks artificial. Real people have diverse interests. While it’s true that the vast majority of their interests tend to fall within a niche, real people also have other things that they’re interested in. Make sure your account reflects this reality. You can fetch a higher price for your account if you make sure that when you post photos, you call people to action. This sets up the brand expectation over your account. You’re not just some random dude posting pictures of camping trails or beautiful sunsets or surfing spots. Instead, you actually call the reader’s attention to a particular action that they would take in relation to your picture. Even though you’re selling your account, the fact that you do this has conditioned or trained people who follow your account to respond to your content a certain way. This has commercial value because with everything else being equal if one account just blasts out content with no call to action, and another account has a specifically targeted call to action, chances are, more people would convert to that second account. So how exactly do you make your account niche-targeted? Well, there are two ways of doing this, and you have to do both. I’ve already talked about the first method, which is to make sure that the vast majority of your content is laser focused on your niche. Again, if your niche involves luxury watches and timepieces, ensure that the bulk of the content that you post includes Cartier, Rolex, Breitling, and other watch brands. For 10% of the time, you can post random stuff that seems personal. By the same token, you should also be mindful of the tags that you use. Most of your tags should be watch related. They have to be focused on the niche of your photos. This creates the right context, and this increases the commercial value of the account. This way, when somebody’s looking to market to potential watch buyers on Instagram, they would be happy to buy your account for a decent amount of money. High-quality accounts also have engagement. They’re not just created with the right pictures and the right tag targets and not much else. There has to be activity involved because you have to understand that high-quality accounts are essentially niche leaders. People look to these accounts because they want the latest and greatest information regarding a niche product or some sort of niche lifestyle. That’s why advertisers are interested in these accounts in the first place. You’re trying to influence people who are interested in a particular subject matter. To make this happen, you need to engage with other users who also influence leaders. Have you ever noticed that very popular people on Instagram don’t just talk to themselves, they also talk to other influential people? And the reason why they do this and the reason why they give shout outs to each other is that they know that the moment you associate yourself with somebody who is equally famous, a lot of their fame rubs off on you. The same applies when they reach out to you. As a result, you end up building both of your fan bases. That’s how it works. It’s a strategic alliance. You should do the same. Engage heavily with other users, build authority, and then sell. This was a guest post created by one of our readers. Thank you!